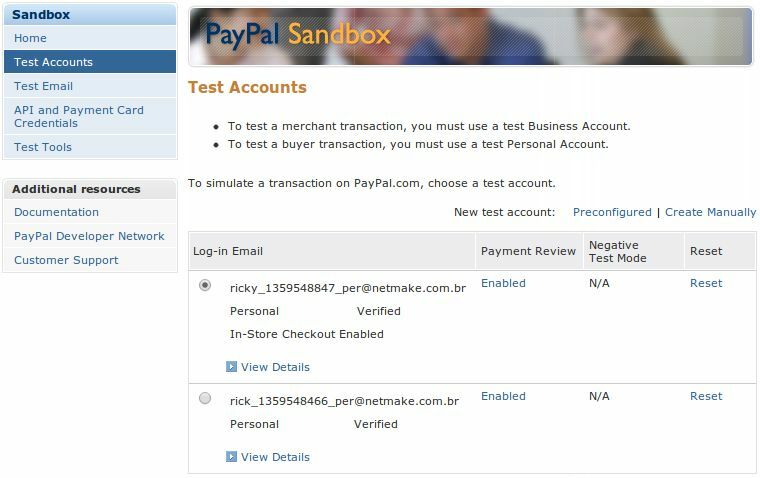 PayPal URL - This url may be to the PayPal SandBox or the PayPal API itself. 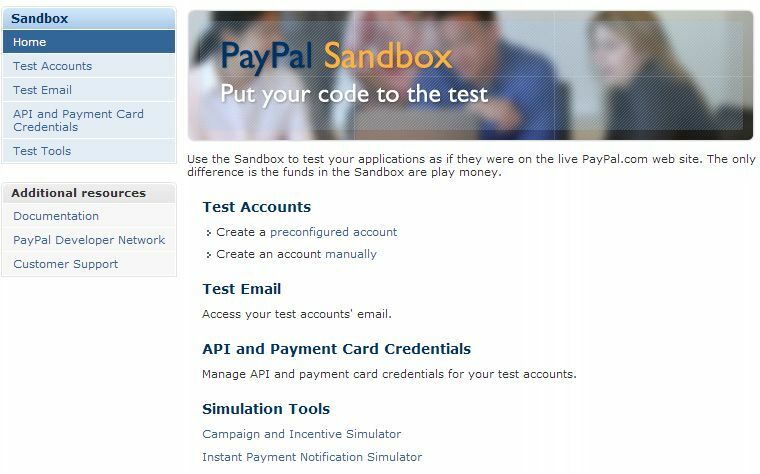 The SandBox is the place for tests before the application runs in a real environment. Id - The PayPal ID to receive the payment. Order number - This order number must . Customized field - URL to where PayPal must redirect the user with the data retrieved. Variable with the description - Here will be. Variable with the Total amount - Method to be ran when PayPal service return the data requested. Paypal Method - Method to be ran when PayPal service return the data requested. Method Cancel - Method to be ran when the user cancel the purchase. 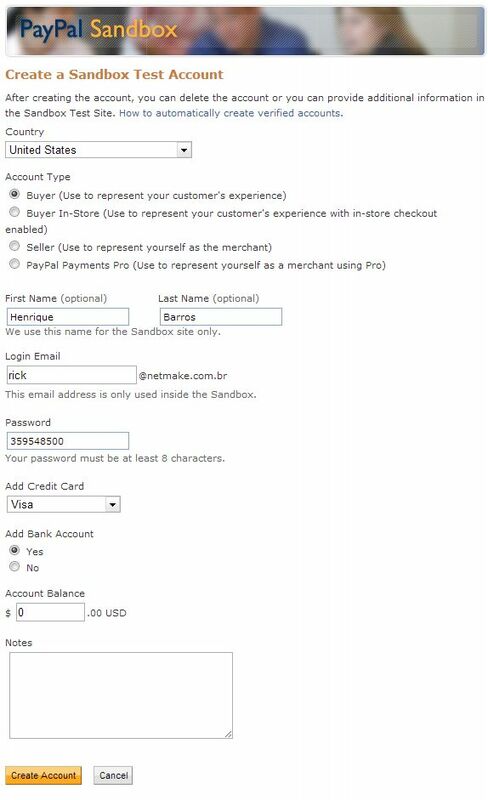 Method IPN - Method to be ran when PayPal service confirm the payment. This method is comonly used to modify the database and register the purchase as complete. Click on "create a preconfigured account". Enter the test account details as asked and save the changes. On the Test Accounts page, activate your newly created account.